NO, you are not going to start this crap in every sub topic. According to a 2011 study in the journal Cell Research, in engineering crops like corn and soybean, novel proteins are created that can assault the immune system and cause allergies and illnesses, especially in the offspring of mothers fed GMO foods. Diminished nutrient content is a concurrent issue. “The results of most of the few independent studies conducted with GM foods indicate that they may cause hepatic, pancreatic, renal and reproductive effects and may alter hematological, biochemical and immunologic parameters,”concluded Artemis Dona and Ioannis S. Arvanitoyannis, of the Department of Forensic Medicine and Toxicology at the University of Athens Medical School, in their 2009 study on the effect of GM foods on animals. Glyphosate residues cannot be removed by washing and they are not broken down by cooking . Glyphosate residues can remain stable in foods for a year or more, even if the foods are frozen, dried or processed. feed and excreted in urine. Presence of glyphosate in urine and its accumulation in animal tissues is alarming even at low concentrations. Unknown impacts of glyphosate on human and animal health warrants further investigations of glyphosate residues in vertebrates and other non-target organisms. "Did Roundup kill my dog." My concerns about this herbicide getting into the food chain for both humans and animals have been recently confirmed. 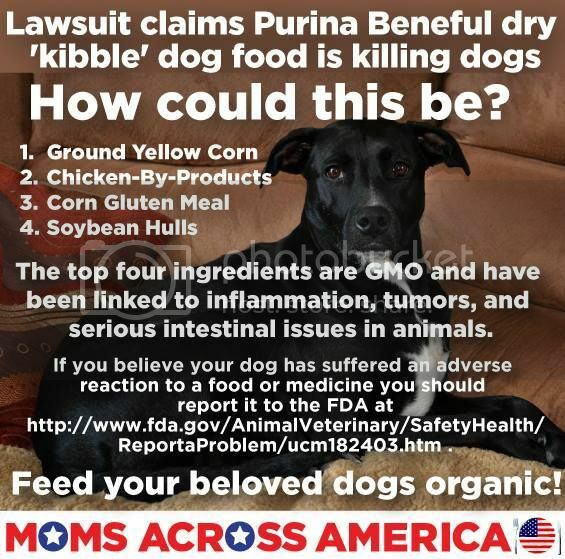 Purina supplied the lab chow for Monsanto's testing. Did you know there is Glyphosate in your pet's food? Watch The "How To Find 5 Dangerous Ingredients In Your Dog's Food That AREN'T On The Label Video" Now! The companies that make pet foods usually need synthetic vitamins and minerals to make those foods pass AAFCO (The Association of American Feed Control Officials) standards. And they rely on other companies to sell them these vitamins and minerals, which are usually combined into something called a premix. These premixes are most often manufactured in China … or India, or other countries with a less than stellar track record when it comes to food safety. The directive was created to limit the use of antibiotics only for disease treatment, control and prevention, rather than for growth or maintenance purposes, Gabel said. "How Safe is Your Animal from GMOs?" "It turns out these ducks are fed junk food, so they are getting fed bread and other things, which is not healthy for them," Preney said. "So, they are not able to digest these foods that have high carbohydrates and they are not getting the nutrition that they need and they are starving to death essentially." The sad truth for dogs is that half of them will get cancer. That's right ... statistically, if you own two dogs one of them will get cancer. It's never been more important to start making changes in what your dog eats, how often he's vaccinated and the number of drugs and chemicals he's exposed to. These changes seem small but they can literally save your dog's life. Is It Time to Go Organic for Your Dog's Food? Many of today’s foods contain toxins such as pesticides, herbicides, antibiotics, growth hormones, and chemical additives that have been linked to serious health issues in both people and animals. To minimize this toxic assault, I feed my family, including my four-legged son, Chase, as many organic foods as possible. Let’s take a look at why “going organic” might make sense for your canine companion. Many people confuse “natural” foods and “organic” foods, believing the terms are interchangeable. However, there is no legal definition or regulation of natural in human or pet food, so manufacturers can use this claim without following a specific standard. As a result, the word “natural” on a label might have more to do with marketing than with the purity of the ingredients. WASHINGTON - The U.S. Fish and Wildlife Service will analyze the impacts of atrazine and glyphosate — the two most commonly used pesticides in the United States — on 1,500 endangered U.S. plants and animals under the terms of a historic settlement reached today with the Center for Biological Diversity. The agreement ensures that the Fish and Wildlife Service will develop conservation measures on these two pesticides, along with propazine and simazine, which together represent nearly 40 percent of annual pesticide use in the United States. The Big Scam: Rabies Vaccination written by John Fundens, D.V.M. An Ohio City Prohibits Pet Stores from Selling Puppy Mill Puppies. There are now over 125 localities prohibiting Puppy Mill puppies in their towns. 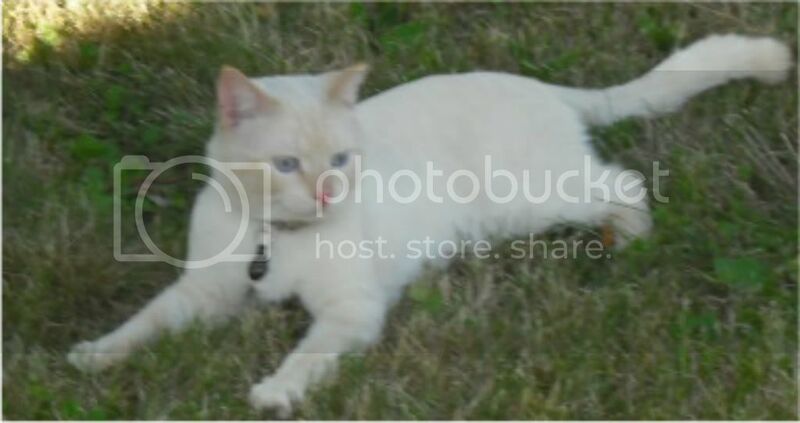 Dr. Suzanne Humphries: "Interesting article that was sent to me by a veterinarian friend. It has to do with established herd immunity in the animal world that is being upset by vaccines. Much the same as measles vaccines did for us. BTW I have known dogs that were successfully treated for parvovirus with liposomal vitamin C."
If there is one lesson life has to teach us, it is that life goes hand-in-hand with risk. Too many people believe they can eliminate risk with vaccination and this just isn’t the case. In a short term clinical or field study, parvo vaccination may appear protective: unfortunately, nobody is taking a long, hard look at the long-term fallout and what it can mean for our dogs, for us and for the environment. Sounds like you need to balance the risk to your pet and your family from exposure to the disease and the risk of the vaccine. It is NOT black and white. This article from the AVMA, and not from some crackpots, better defines the issue. Leptospirosis is a disease caused by infection with Leptospira bacteria. These bacteria can be found worldwide in soil and water. There are many strains of Leptospira bacteria that can cause disease. Leptospirosis is a zoonotic disease, which means it can be spread from animals to people. Infection in people can cause flu-like symptoms and can cause liver or kidney disease. In the United States, most cases of human leptospirosis result from recreational activities involving water. Infection resulting from contact with an infected pet is much less common, but it is possible. Leptospirosis is more common in areas with warm climates and high annual rainfall but it can occur anywhere. Dogs are most commonly affected. Leptospirosis in cats is rare and appears to be mild although very little is known about the disease in this species. Common risk factors for leptospirosis in dogs residing in the United States include exposure to or drinking from rivers, lakes or streams; roaming on rural properties (because of exposure to potentially infected wildlife, farm animals, or water sources); exposure to wild animal or farm animal species, even if in the backyard; and contact with rodents or other dogs. Dogs can become infected and develop leptospirosis if their mucous membranes (or skin with any wound, such as a cut or scrape) come into contact with infected urine, urine-contaminated soil, water, food or bedding; through a bite from an infected animal; by eating infected tissues or carcasses; and rarely, through breeding. It can also be passed through the placenta from the mother dog to the puppies. The signs of leptospirosis in dogs vary. Some infected dogs do not show any signs of illness, some have a mild and transient illness and recover spontaneously, while others develop severe illness and death. Signs of leptospirosis may include fever, shivering, muscle tenderness, reluctance to move, increased thirst, changes in the frequency or amount of urination, dehydration, vomiting, diarrhea, loss of appetite, lethargy, jaundice (yellowing of the skin and mucous membranes), or painful inflammation within the eyes. The disease can cause kidney failure with or without liver failure. Dogs may occasionally develop severe lung disease and have difficulty breathing. Leptospirosis can cause bleeding disorders, which can lead to blood-tinged vomit, urine, stool or saliva; nosebleeds; and pinpoint red spots (which may be visible on the gums and other mucous membranes or on light-colored skin). Affected dogs can also develop swollen legs (from fluid accumulation) or accumulate excess fluid in their chest or abdomen. Leptospirosis may be suspected based on the exposure history and signs shown by the dog, but many of these signs can also be seen with other diseases. In addition to a physical examination, your veterinarian may recommend a number of other tests such as blood tests, urine tests, radiographs (x-rays), and an ultrasound examination. Leptospirosis is generally treated with antibiotics and supportive care. When treated early and aggressively, the chances for recovery are good but there is still a risk of permanent residual kidney or liver damage. Currently available vaccines effectively prevent leptospirosis and protect dogs for at least 12 months. Annual vaccination is recommended for at-risk dogs. Reducing your dog’s exposure to possible sources of the Leptospira bacteria can reduce its chances of infection. Wash your hands after handling your pet. If you are ill or if you have questions about leptospirosis in people, consult your physician. If you are pregnant or immunocompromised (due to medications, cancer treatment, HIV or other conditions), consult your physician for advice. The village of Mamaroneck is the first municipality in the state of New York to ban the sale of commercially bred animals in local pet stores.